Gastronomy is the beating heart of every culture, embodying the local dedication to tradition and innovation. At the same time, food is able to overcome every boundary imposed by politics, geography and the like, well representing the interconnected yet diverse history of every location on our planet. Add a series of dedicated and refined services designed for our senses to our experiences at the table, means guaranteeing an exclusive life span and contributing to the formation of unrepeatable memories. This is because luxury enogastronomic tours transcend mere taste and embrace all the senses, stimulating memorable emotions. They are one of the cornerstones that elevate a travel experience to a higher level. Let’s go on a tour around the world in search of places favored by lovers of good food and drinks. We have now come to the Old Continent. Identifying a specific area for food and wine lovers on such a vast and heterogeneous continent is definitely impossible. Europe offers excellent food and fine wines in many of its states. This is why we cannot but divide our analysis up by citing some of the best states for those who want to experience a luxury wine and food tour. When it comes to wine, there is always a bit of healthy rivalry between the various regions that produce it. The Duero valley, in the north of Spain, has much to say and give in this sense, especially for the Tempranillo grapes that grow there in abundance. The River Duero winds through the rocky surfaces of the highlands of the Iberian Peninsula, dotted with a multitude of vines that have been cultivated there for over 2000 years. In fact, a Roman mosaic was found depicting Bacchus, the god of wine, now preserved in the small town of Baños de Valdearados. In total, in this region, which embraces four provinces, there are more than 300 cellars. Beyond the wine, the area is rich in history and culture. There are many castles to discover as well as historic villages characterized by churches and squares. Also, in northern Spain, we find the La Rioja region, which is located halfway between Navarre, Castilla, and the Basque Country. La Rioja is small in size, however, it is famous all over the world for the quality of the wines that bear the same name. Here there are over 500 wineries scattered throughout vast vineyards. In particular, there are small and family-run shops and industrial producers of the caliber of Bodegas Ysios and Marqués de Riscal. In addition to the wine, we can always immerse ourselves in an almost enchanted landscape made of forests, mountains, and areas similar to the lunar terrain. Do not miss the rivers that have given the valley a series of canyons. It is also worth mentioning that the legendary Camino de Santiago passes through La Rioja, which means that, in this region, there are ancient churches such as the Suso and Yuso monasteries, one of the oldest in Spain. If you want a break from vineyards and cellars, a stop in the capital of the Logroño region is recommended. Among other peculiarities of the area are the dinosaur footprints left in the archaeological sites that can be seen in Munilla, Igea, Cornago, and Enciso. From Spain, we move on to its neighbor France and go up north, passing Paris to go to the famous Champagne vineyards. We are talking about 86 thousand acres of land dotted with vineyards cultivated primarily with Chardonnay, Pinot Noir, and Pinot Meunier grapes all processed according to secret and almost “magical” processes to produce the nectar known all over the world. The two main production centers are Reims and Epernay. 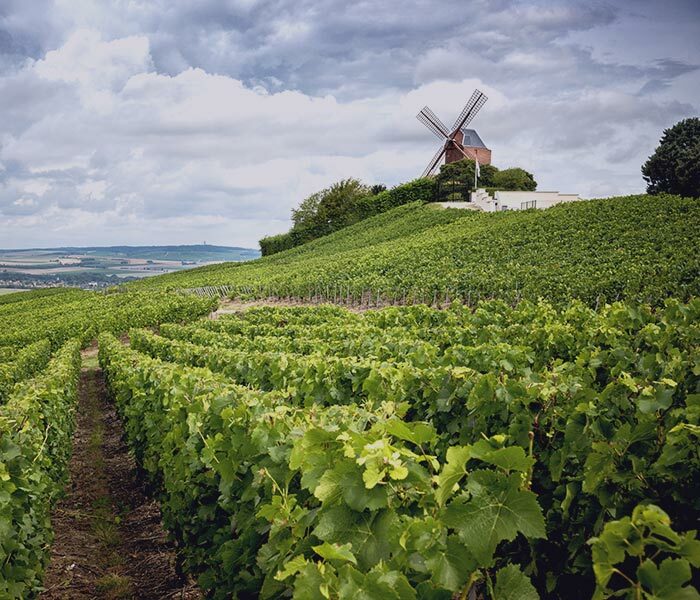 While the former is considered the main place for Champagne, Epernay, located 25 km away, gives space to several wineries and productions, including international ones such as Moët & Chandon and Perrier-Jouët. 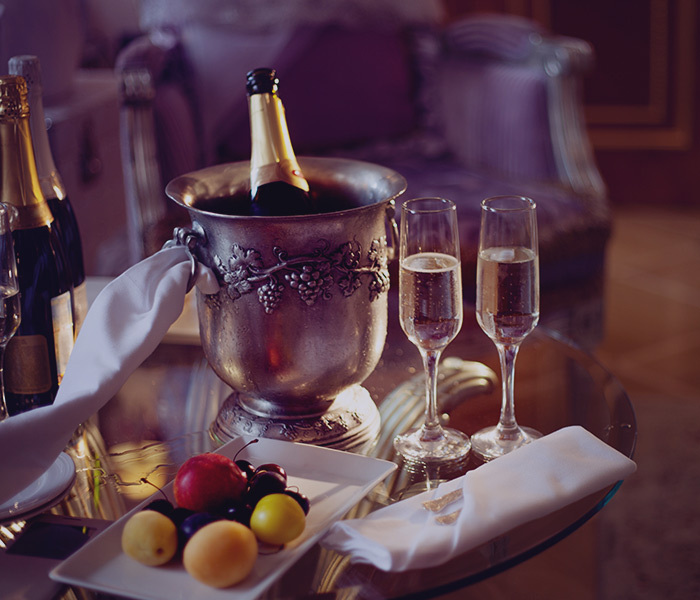 A luxury enogastronomic tour in this area obviously includes visits to the most stylish cities of the Champagne route. Speaking of Reims, do not miss its 13th-century cathedral, one of the main Gothic cathedrals in the north of France as well as a site recognized by UNESCO. Even the town of Langres, located in the southern region right on top of a hill, is a must-see. Known as the Carcassonne of the North, Langres is characterized by ancient stone buildings and is surrounded by fortifications dating back to the period between the 13th and 17th centuries. Among the hidden jewels of this country, we find the Goriška Brda wine region located in the east of Slovenia, on the border with Italy. The landscape is characterized by hills dotted with vineyards, villages and rustic farms that reflect a traditional architecture that at times recalls the Italian style. Not for nothing that this area is also known as the Tuscany of Slovenia. Although it is not a noble destination, Slovenia does not disappoint those looking for a luxury wine and food tour. 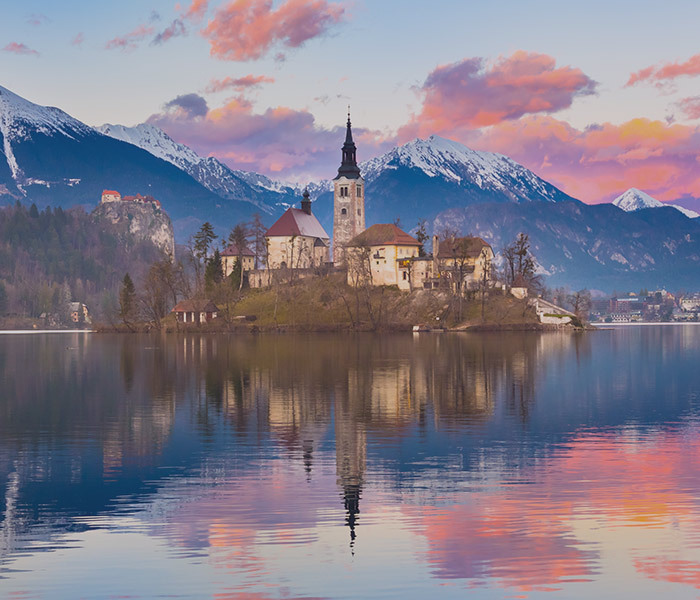 In fact, in this region, it is possible to bask in the sun while enjoying high-quality local wine, perhaps accompanied by typical Slovenian dishes prepared with local products. Why not? You can also try the rare orange flavored wine. Then we can voluntarily get lost in the green Slovenian hills, enjoying the mild Mediterranean climate. And maybe approaching the Italian border, to cross it without even realizing it and find ourselves in the province of Gorizia, also characterized by high-quality wines. We have mentioned Italy, so how could we not talk about it in an article presenting the best destinations for luxury wine and food tours? Here are some of the regions not to be missed for those who expect an unforgettable enogastronomic tour in Italy. The magnificent Italian Riviera has attracted beauty and luxury since the days of Byron, Shelley, and Keats, who used to spend time here, swimming and finding inspiration in what soon became famously known as the Gulf of Poets. Since the mid 20th century, even Hollywood celebrities have turned their gaze to this area. We are talking about Elizabeth Taylor, Brigitte Bardot, Ingrid Bergman, Ernest Hemingway, and Frank Sinatra, who have contributed to the glory of Liguria, the Gulf of Poets and especially Portofino, one of the most glamorous ports in the Mediterranean. Considering its small size, it attracts boats that aren’t excessively large. Therefore, it is one of the yacht owners’ favorite destinations because they can descend into the Piazzetta in front of the marina and take a seat at the bars or restaurants to sip the excellent local white wine. In the village, there are several boutiques dedicated to yachts, as well as jewelers and art galleries. Often being a point of passage for day tours, the area has maintained the atmosphere of exclusivity that characterizes it, especially when the sun goes down and the tourists “of the moment” leave. 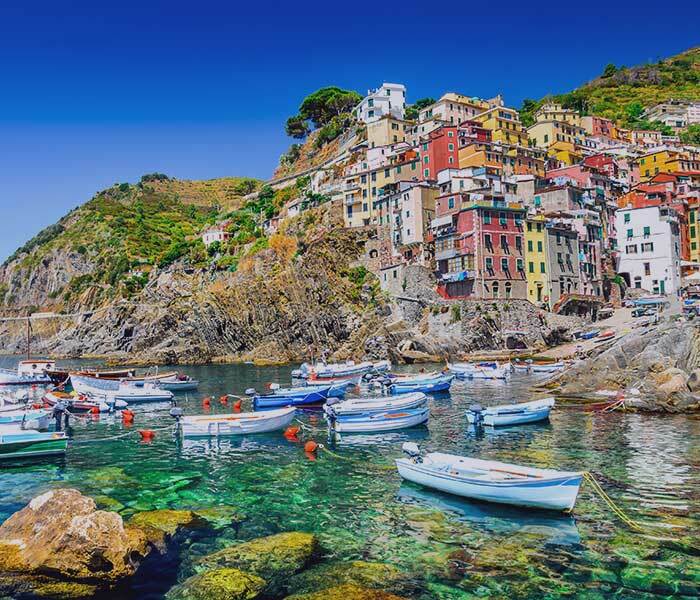 Following the coast, you can reach Riomaggiore, Manarola, Corniglia, Vernazza, and Monterosso, five fishing villages better known as the Cinque Terre. Here we can find colorful houses grouped on terraced cliffs, alternating with gardens or fields of ancient origins. The Cinque Terre, which can be well discovered on boat tours, are renowned for their food and wine products as well as for their beauty. Also, in this area, delicate and dry high-quality white wines are produced, in addition to Sciacchetrà dessert wine, a local specialty. Naturally, these wines accompany fish, an essential part of the regional cuisine, albeit combined with herbs and vegetables that are cultivated here. In general, Liguria is the land of olive oil, prawns, farinata, focaccia, and its majesty pesto. Each town has its own specialty and a recipe to discover while visiting wineries, oil mills, restaurants and farms that offer delicious specialties. The cornerstones of the region are the cappon magro, the chickpea panissa, cima alla genovese, ravioli di borragine, the torta verde, the trofie with pesto, the chickpea farinata and focaccia (that of Recco above all). 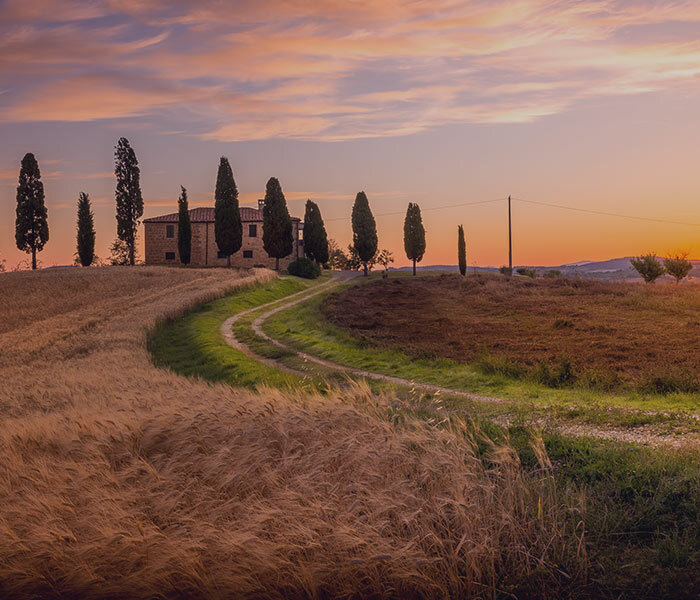 Few scenes are more evocative than Italy in general in the Tuscan rural environment, characterized by rolling hills dotted with stone farms and adorned with cypresses rather than vineyards. Its fame precedes it: Tuscany is the best region for lovers of food and good wine. They are both abound throughout Italy, but here they are even more special, probably thanks to the characteristic climate of an area between the Apennines and the sea. The entire region is built on a Roman and Etruscan heritage, and while the Renaissance reigns in Florence, in the countryside of the old towns, there is a charming atmosphere linked to a rustic and medieval life. 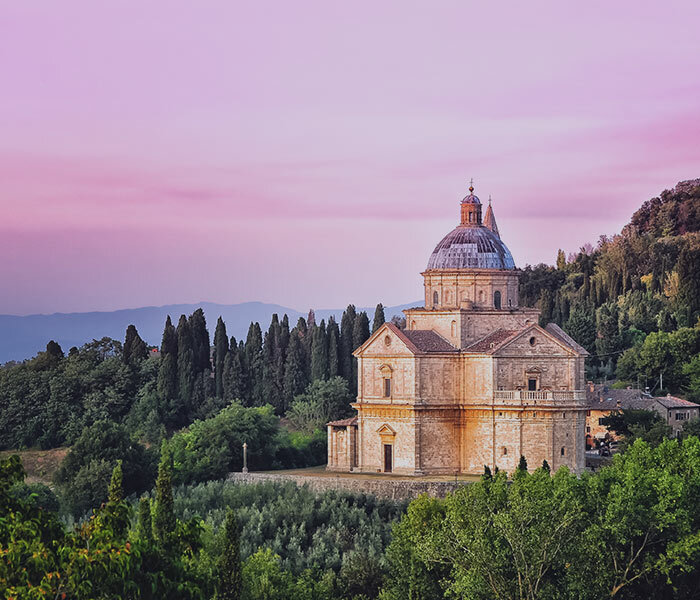 This dichotomy between the Renaissance and the Middle Ages can be found almost everywhere in Tuscany, considering churches, museums, galleries dedicated to the two periods and above all the cuisine. Among the favorite destinations, Pisa stands out, which is much more than its famous leaning tower. Also, do not miss the cathedral, the baptistery and the cemetery, which are a perfect triptych for lovers of the Middle Ages. If we move to Siena, you most definitely shouldn’t miss the piazza destined for the Palio with horses, surrounded by orange buildings and the Torre del Mangia. Elements that make it an idyllic public space. Other favorite destinations in Tuscany are the towns that seem as though they haven’t been affected by time. We are talking about Montalcino, Pienza and San Gimignano, which stand in the middle of cultivated fields and ancient vineyards. Just like these towns, even local wine has maintained a sort of integrity over the years. This is because the inhabitants of the region are proud and very attached to their culinary traditions. Among the local wines, in particular, it is necessary to mention the Chianti, the Brunello di Montalcino and the Vino Nobile di Montepulciano and, on the side of the white wines, the Vernaccia di San Gimignano. The typical Tuscan dishes are linked to the products of the land. Key ingredients are bread, vegetables, game, chestnuts, and fish. Famous among the main courses is ribollita, a vegetable soup (the black cabbage is not to be missed), to which stale bread is added before it is boiled again (hence the name of the dish). 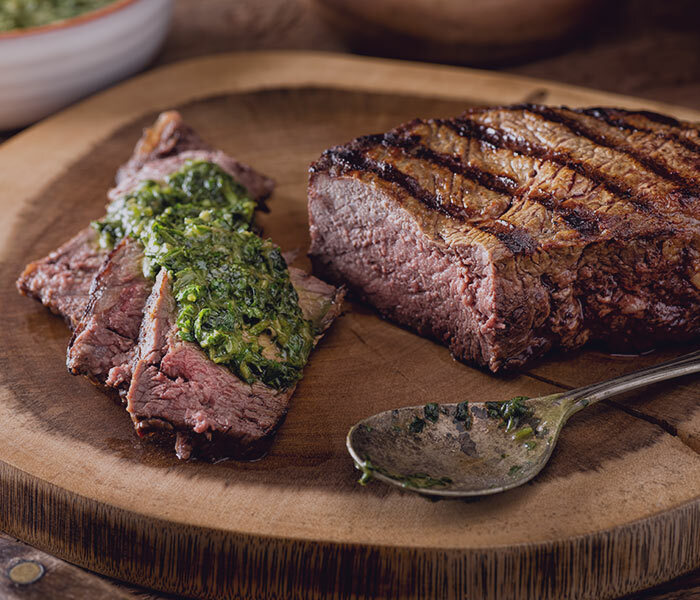 Turning to the latter, how could we not mention the Florentine steak (sought all over Italy for its softness despite the imposing thickness of the cooked meat) or the caciucco alla livornese, which can be enjoyed in the province of Livorno and generally on the coast? It is mixed fish soup with tomato (the greater the variety of fish, the better the cacciucco). Castagnaccio is also exclusive to Tuscany. We are at dessert, talking about an unleavened cake made with water and chestnut flour and pine nuts, sultanas, and rosemary. This region is perfect for those who love rest and relaxation. Here we could be pampered in luxurious accommodations surrounded by beautiful countryside, then hit the roads of ancient towns without traffic. In fact, Umbria is characterized by charming medieval villages perched on the hills and magnificent historic cathedrals, as well as a traditional authentic cuisine that embraces valuable elements such as truffles. It is a perfect destination for lovers of art, food, wine, but also chocolate since the EuroChocolate Festival takes place here in Perugia in October. It is all surrounded by unspoiled nature with hills dotted with lush vineyards and olive groves, which give way to ancient abbeys, castles, and villages. Among the most picturesque villages, we think of Orvieto, Assisi, Citerna, Gubbio, and Perugia. Their location and the fortified walls that once protected them (which are partly still visible), allowed them to resist invaders in the past and preserve their village squares, cathedrals, fountains, and fortresses. Contrary to what one might think, plants grow on the volcanic hills of Etna. Indeed, this land is exploited for the cultivation of vineyards that can absorb various nutrients from it. Coming down from its slopes and approaching the valleys, we can find orange and olive groves. 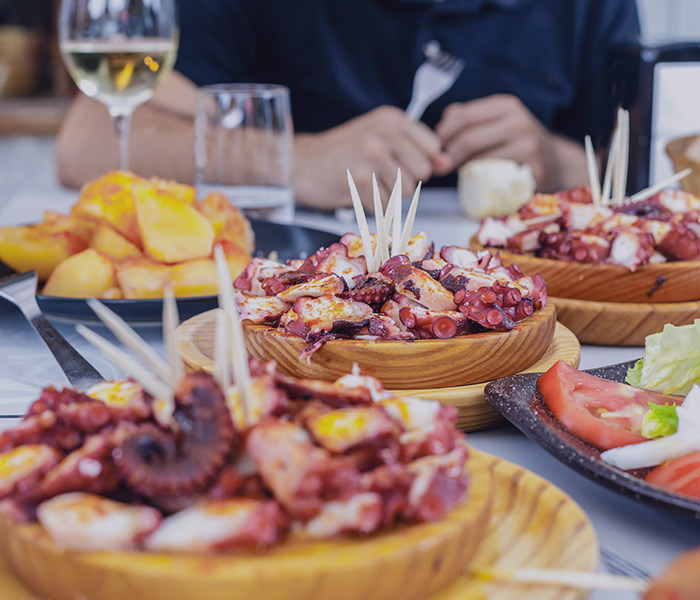 In short, Sicily tickles the palate from different points of view, and the local gastronomy knows how to making your mouth water with excellent traditional dishes. 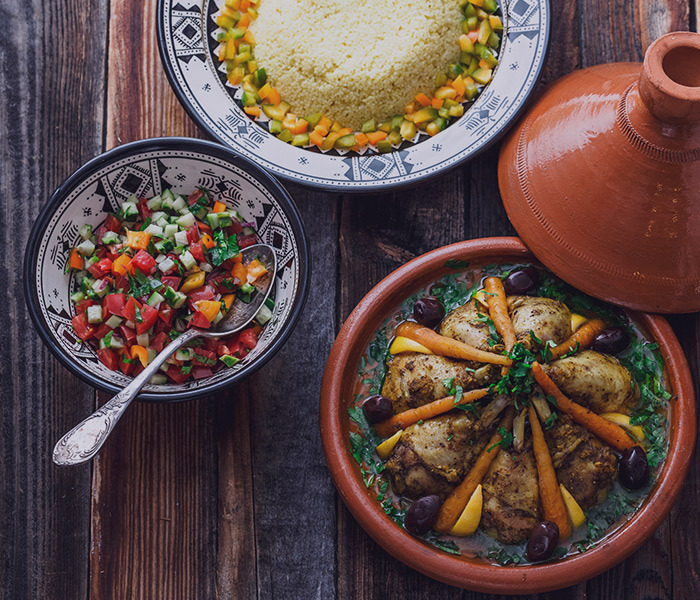 The local cuisine is difficult to associate with only one dish, this is also because of the historical influences of different cultures (from the Phoenicians to the Spaniards up to the Greeks). Of course, speaking of wine, we cannot fail to mention the succulent notes of various local cellars. In addition to the food, Sicily is rich in artistic and architectural treasures. An example is Palermo with its old city, the ancient city of Segesta known for the remains of an imposing Doric temple, Marsala with its extraordinary dishes, Agrigento with the famous Valley of the Temples and fascinating Syracuse. Of course, do not miss Taormina with its extraordinary Greco-Roman amphitheater. Getting into more detail, lovers of good wine in Sicily should not miss the most extensive production area located in the western part of the island, in the provinces of Trapani and Palermo, where they produce Marsala, Alcamo, and numerous versions of the Contessa Entellina Doc. In the south-eastern part, between Ragusa and Siracusa, the only DOCG of Sicily is produced, the Cerasuolo di Vittoria. In the province of Catania, the volcanic soil at the foot of Etna allows the cultivation of the homonymous DOC. On the gastronomic front, on the other hand, it is really difficult to choose which dishes are not to be missed in such a varied and tasty cuisine. Among the most delicious typical dishes, we should mention the cassata, Palermo’s Easter cake par excellence made with ricotta, marzipan, chocolate, sponge cake, and candied fruit. 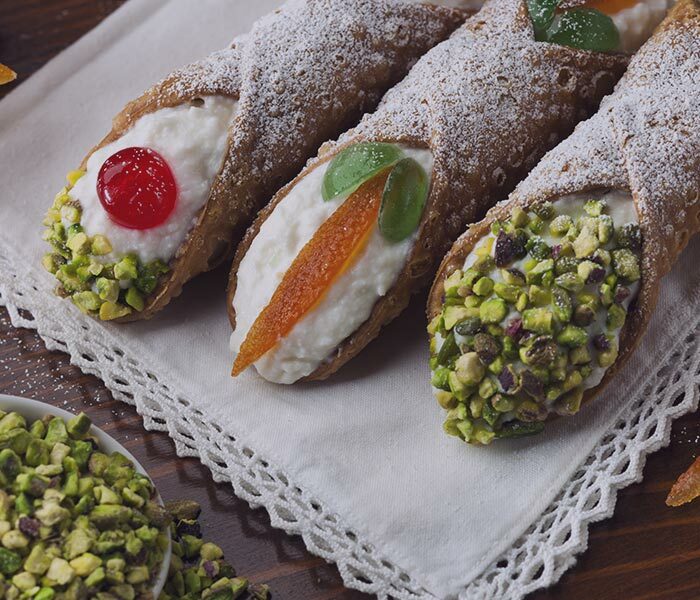 Always among the desserts, the cannoli are filled with candied fruit, chocolate drops, and sheep’s ricotta. On the hypothetical podium of the unmissable dishes, we also put the arancino, a sort of breaded rice ball, fried and stuffed with peas, tomato or meat sauce. You should also try the tasty eggplant parmigiana which includes boiled eggs, salami, cheese, and tomato. The eggplants are also found in the caponata, which contains all the flavor of typical Sicilian products such as green olives, onion, and capers from Pantelleria. Finally, we want to mention one of the typical Sicilian foods par excellence: bread and panelle, a sandwich filled with chickpea flour hotcakes. South America above all is the best location for those who intend to organize a luxury wine and food tour. In fact, some of the best proposals in the culinary field are in this very wide region that includes top restaurants as well as mouth-watering street food. There really is something for everyone. It is possible, in this sense, to organize an exciting journey to discover hectic cities alternated with vineyards, where relaxation reigns supreme, enlivened with gastronomic promises that will not disappoint. Taking a tour of South America to discover the best destinations, regions, and experiences in terms of food and wine would bring us closer to incredible culinary specialties and some of the best wines in the world. For example, don’t miss the old Uruguay wineries or the vibrant Buenos Aires cuisine, before moving on to Mendoza and the Chilean wine region, where you can make a real comparison between these two important wine-producing areas. And then down to Peru to the misty mountains of Machu Picchu, perhaps aboard the luxurious Hiram Bingham train, also renowned for its high-quality cuisine. On your way back, always aboard the train, you can reach Cusco, which has local markets, where you can find what you need to make excellent Peruvian food firsthand. Also, on this tour, we suggest a stop in Lima, known as the culinary capital of Latin America. Here you can find some of the most renowned restaurants in the country. Finally, how could we not mention the irresistible Rio de Janeiro and Sao Paolo for a dip in Brazilian culture and flavor? On this Continent, when thinking about a luxury wine and food tour we consider first and foremost New Zealand, a renowned wine-producing region. For most of us, the most common image of southern New Zealand is the discovery of bays, beaches, and islets with lush vegetation by boat. This is the peculiarity of the Marlborough Sounds area, characterized by valleys traced by old underground rivers now submerged under the Pacific Ocean. The still-emerging lands are accessible only by sea; among them are over 50 nature reserves. The lay of the land is particularly inviting for kayakers who can, in total autonomy, discover creeks, go out on a fishing excursion or stop on a beach to walk up the paths to scenic spots. After visiting this area, heading towards the south-east, you can find one of the largest internationally recognized wine-producing regions. Here it is possible to try the different wines, among which the famous Sauvignon Blanc stands out. If your intention is to visit the wine region in its full glory, our suggestion is to visit it in the spring, from September to November. We recommend visiting in the summer, from December to February, if you prefer hiking and swimming in the cool waters of the fjords. In autumn, from March to May, you can see their crops and wine producers are at work. This is good wine and food lovers’ favorite season. Lastly, the winter is calm and perfect for excursions on foot or by boat followed by evenings in the light of a hearth. From Oceania leap to Africa, which certainly cannot be experienced in only one trip. Wanting to focus on a luxury wine and food tour, a hypothetical journey would start in Cape Town, with its unparalleled cultural scene. From there we would move on to the surrounding vineyards to enjoy superb wine in a high-end rural environment. The tour would obviously also include a stop at Kruger park for an unforgettable safari. But let’s concentrate on the countryside dotted with vineyards. We are in the Winelands, one of the most historic areas of South Africa, where the Dutch conquerors took root. For this reason, today, this once colonized area is characterized by well-kept small towns with colonial and mostly white buildings in contrast with the lush green fields, forests, and vineyards. There are lots of vineyards to visit here, from the smaller ones with boutique-like wine shops, where we can be welcomed directly by the owner, to more modern and large estates. For a self-respecting luxury wine and food tour, it is possible to tell the vineyard owners that we will would like to stick with our personal preferences so we can try wines in line with our tastes. Wine lovers tend to visit the towns of Stellenbosch, Franschhoek, and Paarl. As the inhabitants of the country say, the best way to get to know and discover Italy at its best is to taste it, discovering its typical dishes and most exclusive wines. Italian culinary culture, as we have also seen in the few examples mentioned above, varies enormously from region to region, so much so that it is not possible to trace a homogeneous profile of the whole country from this point of view. For example, if you are a lover of pasta and pizza, it is obviously worth visiting Naples, Rome and the whole south. On the other hand, if you prefer meat, Tuscany is a must. Sicily has incredible fruits of the earth, as well as the sea with an exceptional catch. But do not forget the delicious desserts. Emilia Romagna, on the other hand, is one of the most famous regions from a gastronomic point of view for its Parmigiano Reggiano, Parma Prosciutto, Balsamic vinegar but also for incredible homemade specialties such as tortellini. If instead of food we talk about wine, we are also spoiled with choices. Every region has its own typical and renowned bottle of wine. Whether it is white or red wine or sparkling wine, Italian wine will satisfy your every request and requirement, so much so that the tours related to food or wine have been considered a priority for foreign travelers visiting this country for years. On the other hand, the combination of good food and good wine is for many the quintessence of romance that Italy is permeated with. The food and wine tours allow you to get to know the characteristic tradition of each region and more generally allow you to discover Italy beyond its art and its architecture. for your trip to Italy! the best luxury tour of your life?